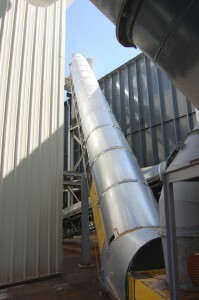 This 60′ Custom Designed High Angle Side Wall Conveyor was built for a BioMass Project. 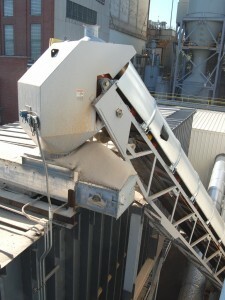 Designed to carry material at a 47 degree incline. A flat channel frame saddle tail section transitions to a truss frame at an incline of 47 degrees. Complete sealed environment to protect materials from moisture during handling.